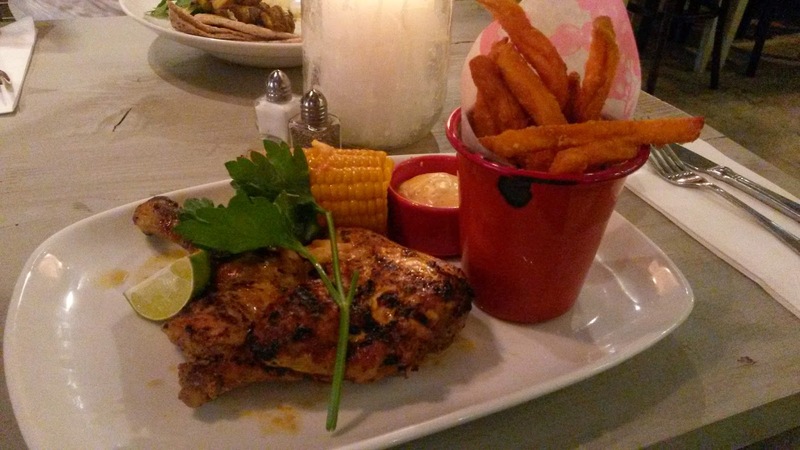 Nottingham Food Lovers: Bill's Nottingham Review- Worth a Visit? 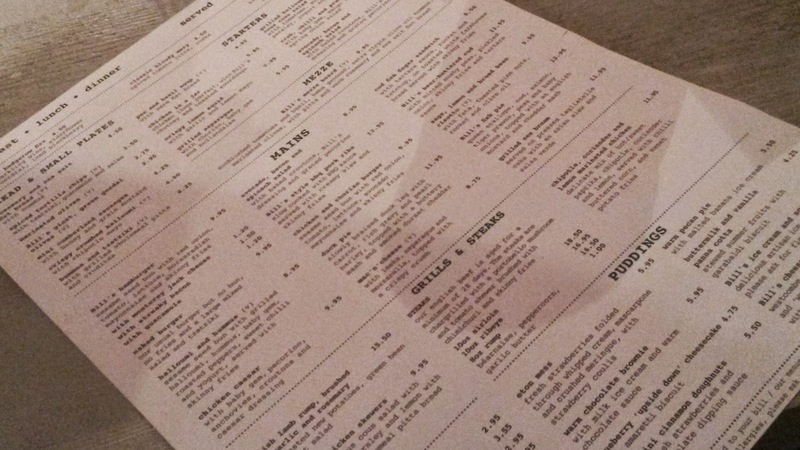 There's a buzz about Bill's restaurant arrival in Nottingham although I have to admit I only knew of it's existence a few days ago when asked if I fancied meeting up in town for a drink and some food. Since then it seems everyone I know has wanted to ask me if I'd visited there yet. 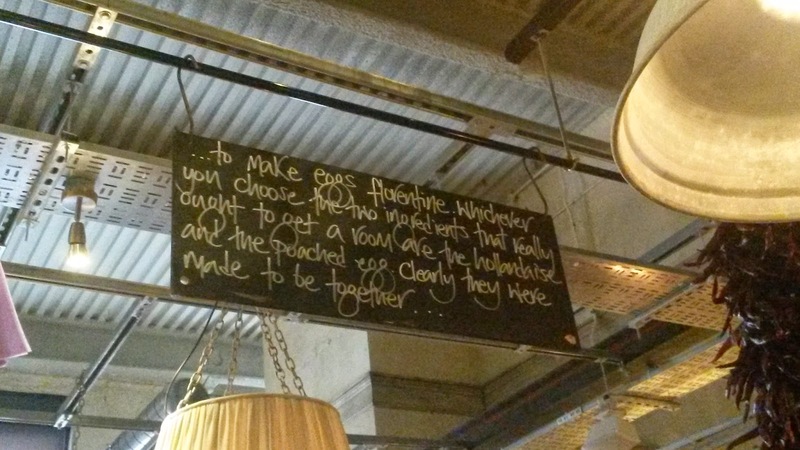 Nottingham's had a few new additions Restaurant-wise lately. With a very nice looking Korean restaurant opening on Chapel Bar and Wildwood on King Street where Johnathon James' shoe shop used to be. Another new addition on Queen Street is Bill's. 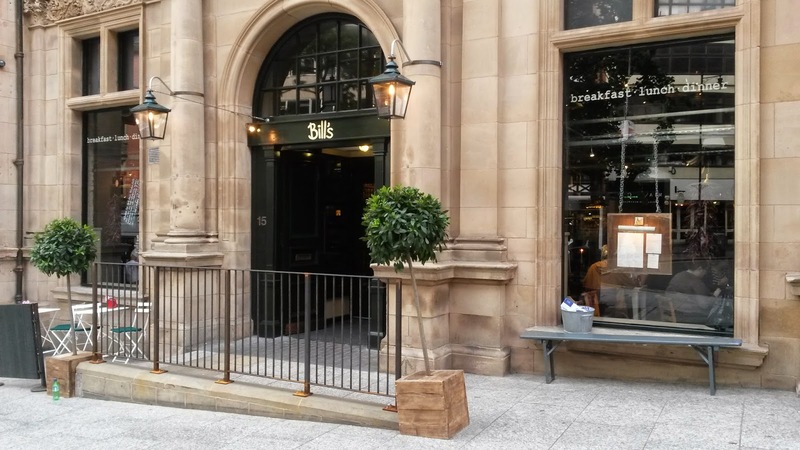 I'm always up for something new and therefore the chance to visit Bill's new establishment in Nottingham and review it for the blog seemed like a great opportunity to catch up with a friend. Out of a panic I rang the restaurant the morning we were due to visit and was told that unfortunately there were no tables available until after 9PM that evening. On the off-chance that there would be the possibility of a table we rolled up at 7 PM and were advised that there would be a short 15 minute wait if we were happy with that which we were. This was a little frustrating compared to the information given on the phone and almost cost the restaurant our trade that evening. Inside Bill's is pretty unique compared to many of Nottingham's eateries. It seems a mix of shabby chic with an industrial edge. With such an impressive building exterior I expected more than the hideous attempt at lighting in what should be a pretty prestigious property. The menu looked fantastically varied with a host of seasonal ingredients. We plumped for the Chicken Skewers (£9.95) which came we a small selection of salad, couscous, with pitta bread and the Chipotle, Lime and Coriander Marinated Chicken (£12.95) which came with sweetcorn and a serving of sweet potato chips. 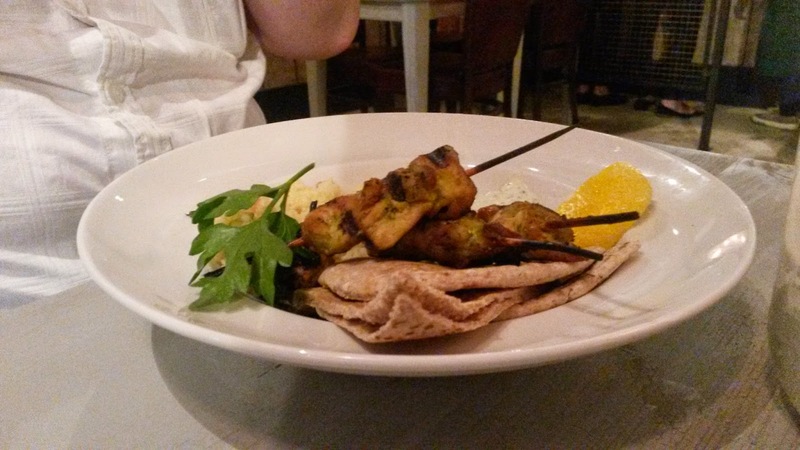 The Chicken Skewers came out with lovely presentation with the ingredients tasting exceptionally fresh as one would expect. The downside was that the chicken wasn't as moist and succulent as one would expect and in honesty tasted slightly on the dry side. Whilst being a lovely meal the portion size appeared to be more towards a light lunch than a meal for a shrinking former chef and a sportsperson with a hefty appetite. The Chipotle, Lime and Coriander Chicken came out looking fantastically appetising. For supposedly half a chicken I definitely felt a little let down by it's size but in terms of taste it was a fantastic meal. The subtle flavour of the marinated chicken worked well, however when I saw chipotle on the menu I was expecting a little more oomph as this sounded like a chicken dish for a real man. 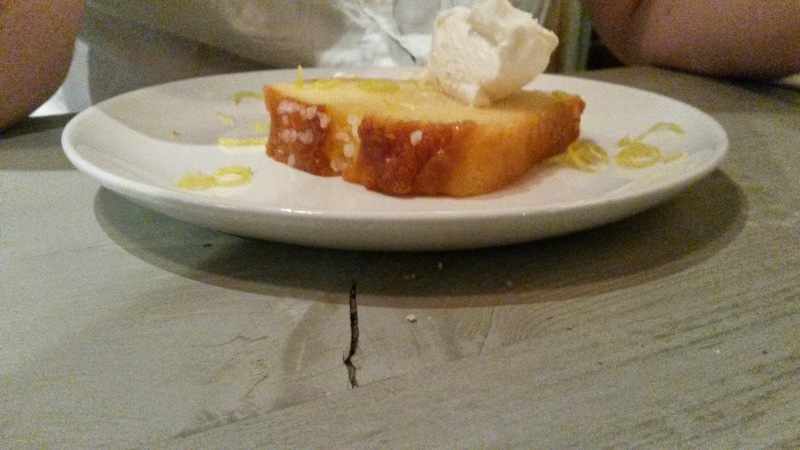 I love lemon and a good slice of cake is always high on the list of needs for me so a slice of lemon drizzle cake sounded like a great way to end the meal as after my main meal I certainly had plenty of room left for dessert. 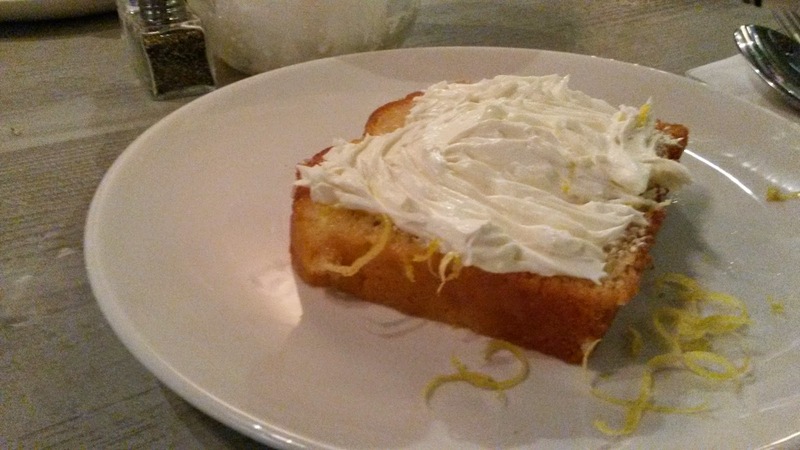 We both ordered a slice of the lemon drizzle cake which came out topped with a dollop of mascarpone and some grated lemon. Personally I felt the lemon drizzle cake was a real let down, it was more like a Madeira cake with a bit of lemon grated on top as an afterthought. When it comes to citrus I love big zesty flavours and this was nowhere close to offering what I want in a dessert. 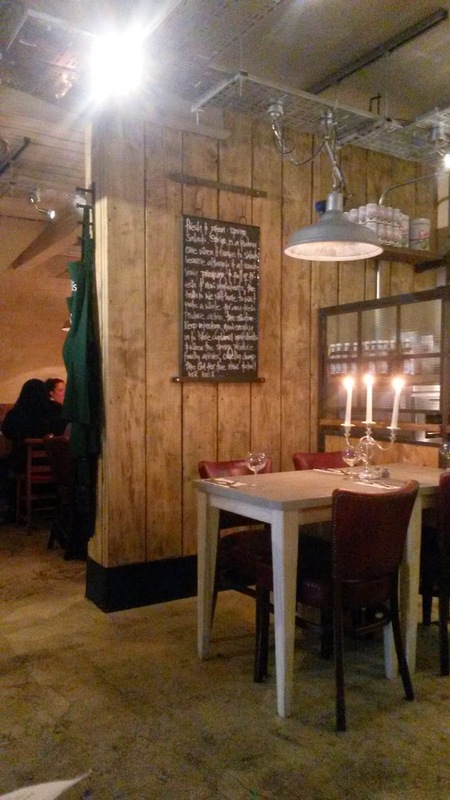 From the outside Bill's looks a lovely restaurant but for me the food was somewhat lacking the big flavours I love and certainly the portion sizes felt a little more for the 'golden years' menu. I'm not sure I would go back but we'll see in future.